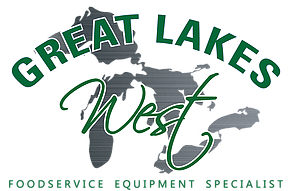 Since 1999, Great Lakes West has been providing turn-key equipment packages for foodservice venues. We specialize in providing foodservice equipment, design and related services for restaurants, schools, hotels, hospitals, health care facilities, universities, airports, travel plazas, stadiums as well as any other commercial foodservice facility. GLW is a family of experienced professionals who deliver quality products, on time, with the highest level of service. We approach each project with extreme attention to detail and thorough follow up. GLW combines the knowledge of our engineers, consultants, installers, and experienced foodservice professionals on each and every project. Our supreme attention to detail and first-class service and team-oriented approach results in success, delivering your project ON-TIME and ON-BUDGET. We have a vast network of installation crews that span throughout the country. Our installers are experienced, efficient, professional, and conscientious. Our goal is to install your equipment properly the FIRST time at the lowest cost. If you need help writing content for your About page, consider splitting up the page into different topics. Common topics include: the history of your business, your mission statement, your philosophy, what separates you from your competition, what your business specializes in, any influential figures or events that helped your business get to where it is today, and the list goes on.